The Sasquatch Close Encounter Network for Interspecies Communication (SCENIC) is growing into the global network for cosmic disclosure it is meant to be. 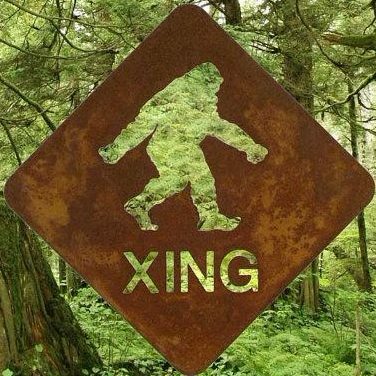 We have added new editors to our team on our website, bringing our number to 11 as of today, all of whom are experienced Sasquatch communicators and some are channeling messages. We welcome our new team members: Aja Andromeda (and her webmaster), Mike Bodewitz, Brian Bland, Samara Terpening, and Sean Ores, who join Kelly Lapseritis, Leigh Kerr, Kalia Diya, Georgeanna De Carlo, and myself, SunBôw TrueBrother. Others were invited and might join the team shortly, to keep a good flow of information. Please keep sending your experiencers accounts by clicking on the ‘Submit story’ button and I will revise, edit and post all relevant content submitted through that link. As I have started today on a full time job, I will be less available for posting and managing the site, so this team of Sasquatch ambassadors will bridge the circles. I will be working with our friends at the Focused Life Force Energy who were instructed by Sasquatch to hire me with a regular income for my multidimensional understanding. They will use my services as consultant, adviser, dowser and researcher in free energy. This is the path where our interdimensional Elders are guiding us, to discover and learn about the consciousness technologies and free energies that can save our planet’s future. Thanks to all who show interest and support in any ways you can contribute to our collective vision and mission of bringing the great cosmic disclosure about non-human intelligent beings, interdimensionality and our closest relatives, the Sasquatch People. Previous postNew wave of downloads coming!